During 2013, it stands out from the R & D activities carried out by CETECK, the PREVECO project. 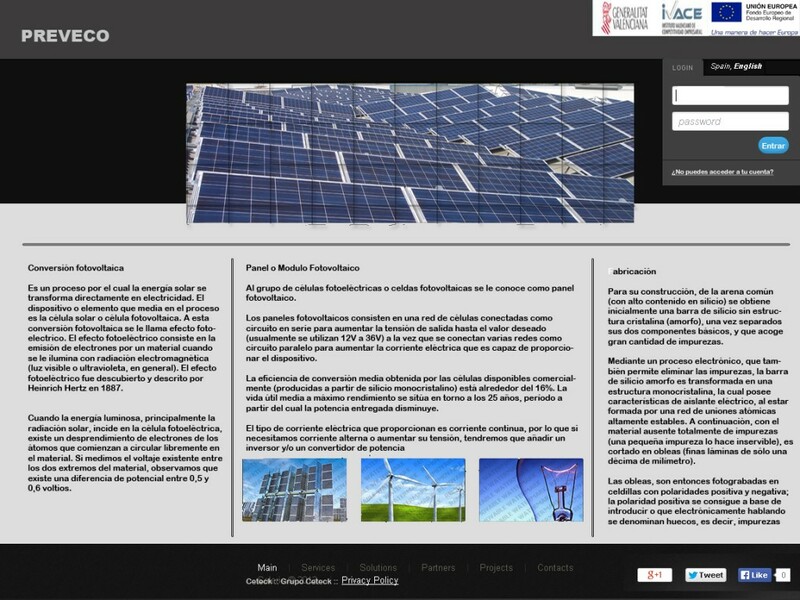 The project is cofunded by the Institute for Small and Medium Industry of the Generalitat Valenciana (IVACE) and the European Regional Development Fund (FEDER) program for research and technological development for SMEs. 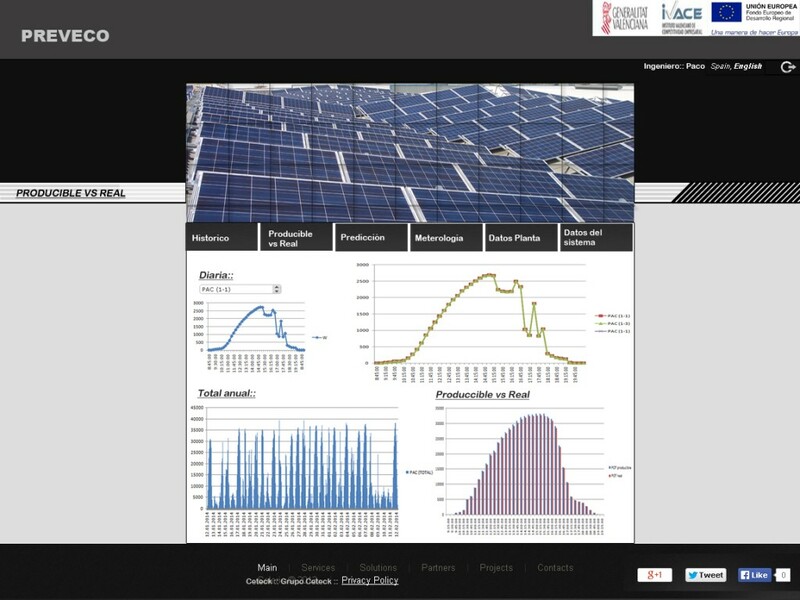 Reduction of costs associated with the production of photovoltaic energy by optimizing maintenance of photovoltaic systems, detecting in real-time failures that may decrease the performance of photovoltaic cells, inverters and other elements affecting plant the production of solar energy. 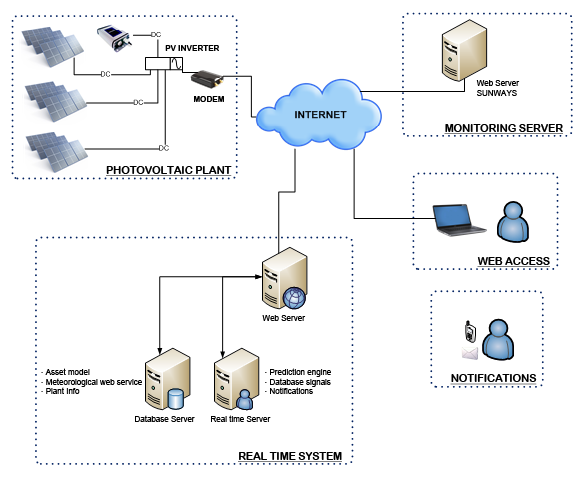 Significantly improve performance ratio (performance parameter) of photovoltaic solar installations, ensuring the uptime of the plant as much as possible, thanks to early and predictive fault detection. Optimize selling the power generated by these facilities, to allow predict the energy produced by the installation market for sale to the Pool and avoid penalties for excessing production. 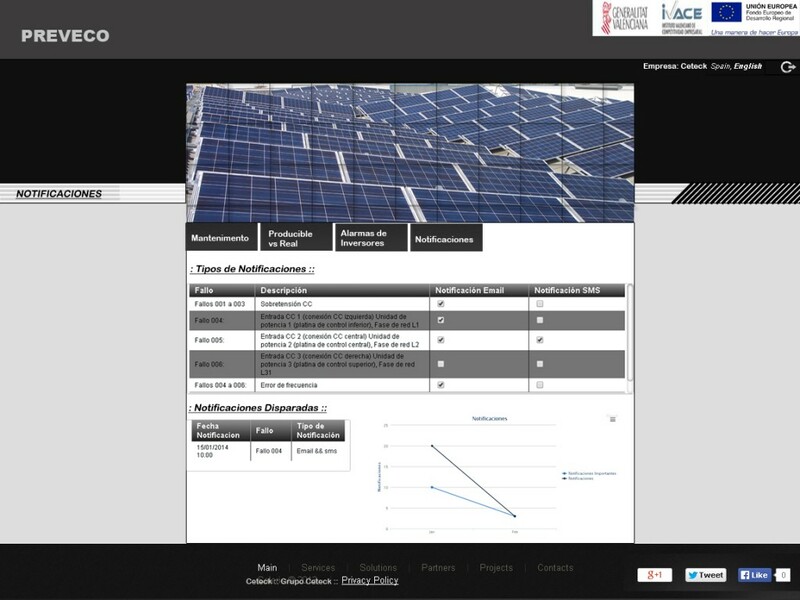 The platform PREVECO is presented as an advanced solution for the photovoltaic industry to be designed for later use in SAAS mode, pay per use and weighted % of installed capacity and generated power and thus encourage that small, medium and large generators to access intelligent predictive technology used by large companies in the photovoltaic industry. 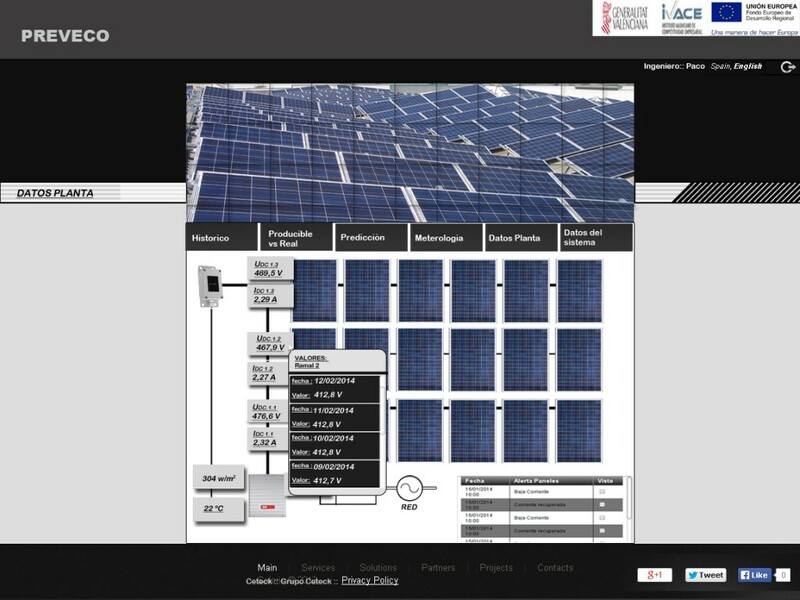 Control, monitoring, management, advanced simulation and optimization by treating key signs of running photovoltaic systems . 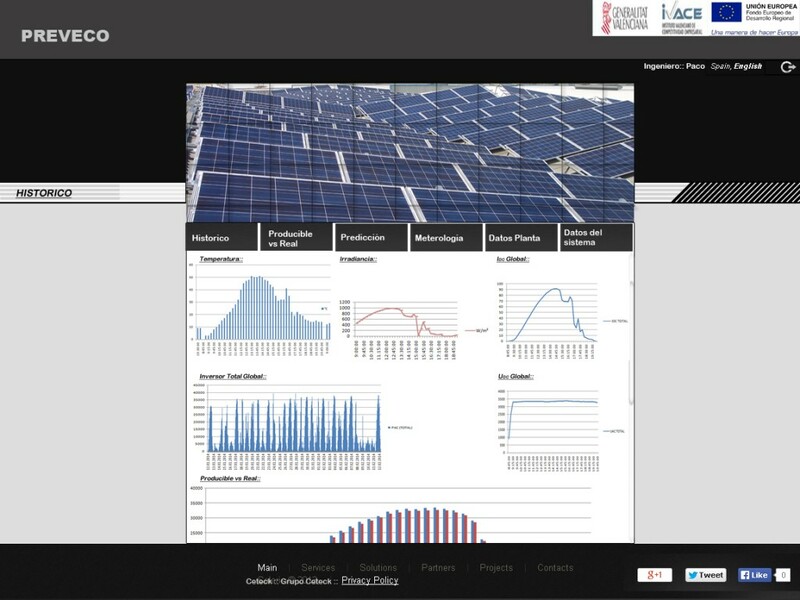 Predicting energy production of photovoltaic installations considering irradiation and weather forecasting,local climate and system behavior using itsmathematical model. 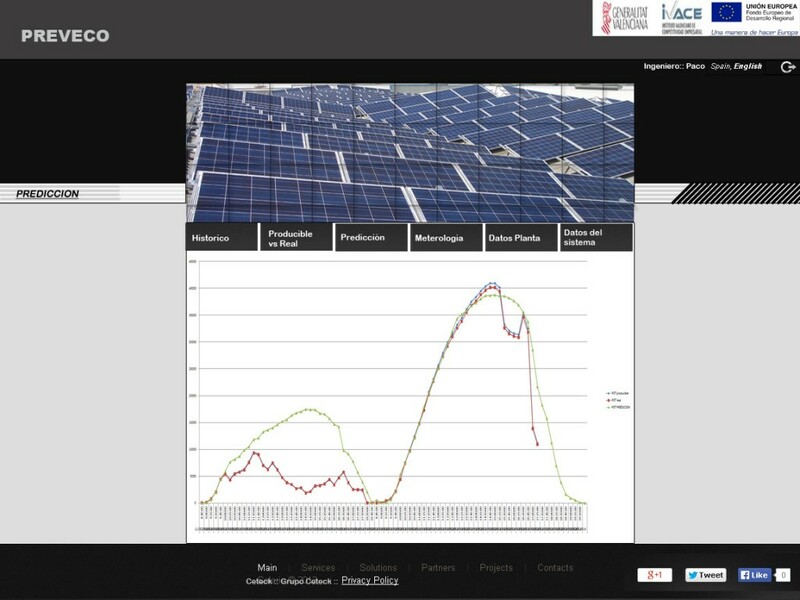 Real-time monitoring and advanced tools for automatic diagnosis of malfunction of PV systems : These tools enable the analysis and detection of faults that would otherwise remain hidden, reducing the costs of operation and maintenance and increasing the production of photovoltaic systems. Early fault detection. Notably, the technology platform to develop comply with the requirements demanded by the RD 1565/2010, in which photovoltaic power plants over 10MW, have the obligation for sending telemetry in real-time. Where customers can log in with a user profile (producer, maintenance and engineering / installer) and access to different views/functionalities designed. Finally and in order to present comprehensively the performance of the Web Platform PREVECO here there are screens with all parameters that will be available.